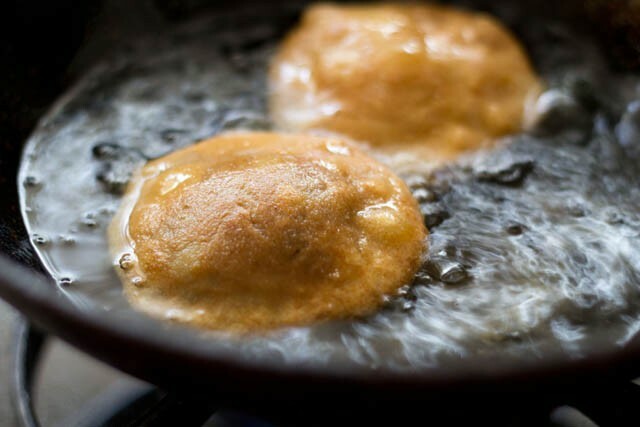 When we hear or smell Khasta Kachori, it can make anyone's mouth water. A perfect tea time snack, kachoris are available in every sweet shop in Northern India and some other parts of the country as well. filled with fried oinions, daal masala, or roasted masala. They are eaten with green chutney, mint chutney, tamarind chutney, ketchup, alu bhaji or just like that with your favorite cup of tea. 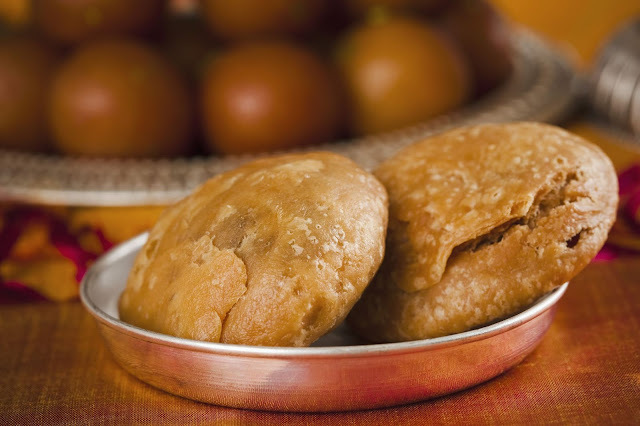 How about making these crispy delights at home with this easy Khasta Kachori recipe. Let's get started! 1. In a mixing bowl add 220 grams all purpose flour, 1 teaspoon salt, 4 tablespoons oil, 250 milliliters water and knead it into a smooth soft dough. 2. In a mixing bowl add 50 grams split Bengal gram powder, 1 teaspoon fennel, 1 teaspoon coriander seeds, 1 teaspoon red chilli flakes, 1/4 teaspoon ginger powder, 1/2 teaspoon dry mango powder, 1/8 teaspoon asafoetida, 1/2 teaspoon salt, 1 tablespoon oil and mix it well to combine. 3. Transfer it into a pan and stir on medium heat. 4. Transfer it into a bowl and add 2 tablespoons water. Mix it well. 5. Take the dough and divide into equal sized balls. 6. Take a dough ball and Press it with your hands. 7. Fill the mixture into it and roll the dough ball into a round and thin roti. 8. Heat sufficient oil in a heavy skillet. Deep fry until crispy and golden brown. Drain it on an absorbent paper. You can make many and store them in air tight jars for about a week. Enjoy your kachori!